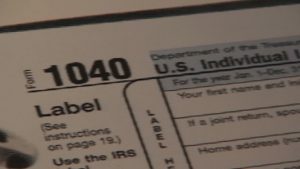 WASHINGTON, D.C. (CNN) – It’s tax season and it’s off to a slower start this year as early filers are seeing smaller average refunds. Refunds for early filers average $1,865. That’s compared to $2,035 dollars for the 2017 tax year. The total number of returns received by the IRS also dipped during the first week of the season, which ended February 1st. It’s down about two million returns, from about 18 million at this point last season to some 16 million so far in 2019. The overhaul ushered in the most sweeping changes to the tax code in three decades, allowing people to keep more money in each paycheck as the IRS withholds fewer deductions. That results in lower returns in some cases.